Some of the best players in European basketball over the past two decades have fit the same pattern - guards with great determination, high basketball IQs and EuroLeague championships. Amazingly, four of them all came from the same country: Greece. 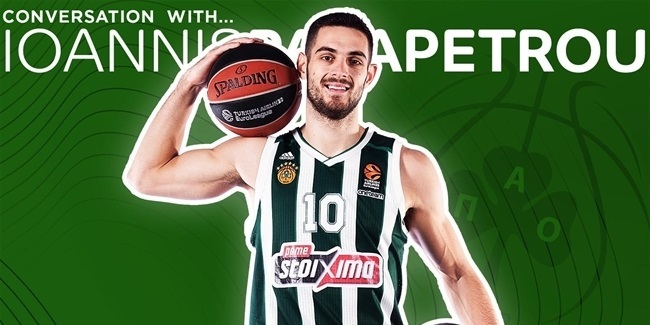 Nikos Zisis, Theo Papaloukas, Vassilis Spanoulis, and Dimitris Diamantidis are among the most famous sportsmen in their country and the latest name to join that list is Nick Calathes of Panathinaikos OPAP Athens, who has played with most of them and has admired these four players for a long time. Calathes checks the same boxes as the aforementioned foursome; he won the EuroLeague title with Panathinaikos in 2011, was chosen to the All-EuroLeague First Team last season, set a playoff record for most assists (16) in a game and has all the skills that point guard longs for – court vision, basketball IQ, leadership and determination. "It is an honor to be included with these kinds of players. I hope to fulfill what they have done on the court and win championships. I hope to become the type of player that they were and hopefully maybe even overpass them," Calathes said. "I admire all of them. They are all great guys and represented Greek basketball really well, on and off the court. Papaloukas and Diamantidis are doing basketball academies right now, but Zisis and Spanoulis are also doing things for Greek basketball. As players, they are some of the greatest ever in Greece and off the court, they are even better and help people, and I admire them for that." "As players, they are some of the greatest ever in Greece and off the court, they are even better." Growing up in the United States of America, it took Calathes a while to find out how good these players were. All four helped Greece beat USA in the 2006 FIBA World Cup semifinals. Calathes, who was 17 back then, was impressed. "I heard about Papaloukas when Greece beat the United States. That was the big name and the first time I heard about Papaloukas," Calathes said. When he decided to start his professional career in Greece, Calathes joined Panathinaikos and met some of them. "I played with Diamantidis and Spanoulis, both of them, when I was 20, and got to know them a lot. I played with Nikos Zisis in the national team for many years and got to know him. I know a lot of them very well and I still talk to all of them." He joined forces with Diamantidis when the latter was at the prime of his career. In 2011, Diamantidis earned EuroLeague MVP, EuroLeague Final Four MVP and EuroLeague Best Defender honors, an unprecedented success. "It was unbelievable to play with him because he is so unselfish as a player. He doesn't even need to shoot the ball to play for the team and run the team," Calathes said about Diamantidis. "Everyone loves to play with him. He was unbelievable on defense and could take out the best player on every team very easily. He made it difficult for him to score on the ball and off the ball. He was exceptionally good at that." Even though they never wore the same club jersey, Calathes and Zisis became very good friends playing together for the Greek national team. "Nikos is very underrated and I think people don't talk about him as they should. He has accomplished a lot in his career, basketball-wise he is very smart as a player. He knows how to play the game and does a lot of things for the team as a leader. Off the court, he is just an unbelievable guy, kind, and everyone loves to hang out with him. He is the type of guy you can always count on," Calathes said. Asked about the famous urban legend that Zisis and Spanoulis can't stop talking basketball, Calathes confirmed it. "Zisis and Spanoulis talk about basketball 24/7 and obviously, this is probably why they are best friends. You could talk all day with those type of guys and I did that a lot. They definitely love the game and follow every kind of league - NBA, Europe, college... they know it all," Calathes said. He loves every bit of it, too. "It depends on what kind of person you are. Obviously, I am a basketball guy, too, so I am always next to them, talking, and getting their opinions on who is better at this and that." Calathes played one season alongside Spanoulis at Panathinaikos and many times against him in Greek derbies. "Billy is an unbelievably hard worker and one of the toughest players I have ever seen. His mentality on the court allows him to do a lot of things and you can always count on him when you need to hit a big shot," Calathes said. "He knows how to win and how to take over a game in the fourth quarter – and make it look easy." Though he only played against Papaloukas a few times, Calathes quickly understood how important his figure was to European basketball when he had to guard him. "He helped change the idea of a point guard in Europe, being so tall and always in control. His passing abilities were the best that you can watch on a court. He saw the floor and ran the team like few others," Calathes recalled. "I played against him a couple of times and loved to watch how smart he was and how he knew the game." "Diamantidis had a bigger influence on my game because I played with him for several years." Whiel they all impacted the Calathes's development into the player he is today, one player had more impact than the others. "Diamantidis had a bigger influence on my game because I played with him for several years, going against him each and every day in practice. He definitely influenced me the most and I learned a lot from him," Calathes explained. "I also learned a lot from Spanoulis in my first year with Panathinaikos, coming to Greece, but for sure it is Diamantidis because being around him, he taught me a lot." 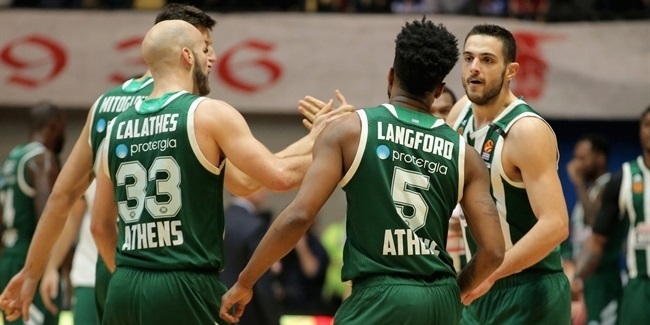 By joining Panathinaikos before the start of the 2009-10 season, Calathes had the luck to play with three of the best guards in European basketball history. "It was difficult, especially my first year, being guarded by both, Spanoulis and Diamantidis, and also by [Sarunas] Jasikevicius. We had an unbelievable team and it was obviously difficult every day in practice. It made me better." What if he had to pick one particular skill from each of them? Calathes took his time before giving a thoughtful response: "From Zisis, I would choose the mid-range pull-up jumpers off the dribble. He is one of the best mid-range shooters. From Diamantidis, I would get his defensive ability, which made it difficult for everyone. From Papaloukas, his passing ability and from Spanoulis, his ability to hit big shots, of course."